0844 800 3295 to get in touch with us. Janet Hope, author of A Useful Guide to Fraud Prevention and A Useful Guide to Self Management, is a former fraud investigator and fraud manager for central and local government. Janet used her MSc dissertation to investigate fraud within the small business sector. 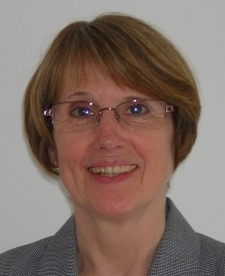 Janet has considerable experience both working for, and consulting to, local authorities. When she is not writing or working with clients Janet spends her time keeping fit by walking, enjoying film and TV dramas and watching tennis and golf. Janet particularly likes a trip to live musical theatre in London's West End but from where she lives it really is a special event!